For most of the buildings two types of Bricks will be used. Cement blocks will be available in differnt sizes. Cement blocks will be of two types. 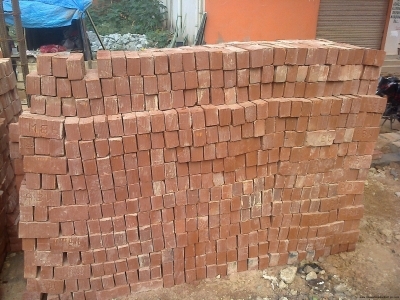 With Hallow and solid cement bricks, you can complete wall construction faster than normal red bricks. if you are taking cement bricks make sure vendor did proper curing for these bricks. Then only strength will be there. Few people are using Fly ash bricks are also. these bricks are lighter weight.